Spacious rooms, modernly decorated, equipped with a flat screen TV 42 inch, free Wi-Fi, a fine rain shower cabin and bathroom with selected toiletries. These rooms are located on all floors and have either a view of the city or the atrium of Aquila Atlantis Hotel. For the lovers of culinary delights, the Aquila Atlantis Hotel is the hottest spot in Heraklion. In the imposing atrium of the hotel dominates the restaurant, an ideal place for business lunch, formal dinner or meeting with friends. Here, the Chef creates refined dishes with fresh local products, satisfying even the most demanding palate. 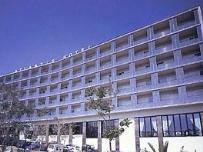 The Aquila Atlantis Hotel is the city’s largest luxury hotel with unobstructed views of the historic harbour. Ideally positioned in the heart of the city, it is the perfect starting point to discover Heraklion and its many historic monuments and museums, all, within easy reach of the business and commercial district.